The annual look at U.S. Census Bureau estimates for cities isn't due out until May. However, WorldPopulationReview.com has given us a preview based on 2018 Census estimates. 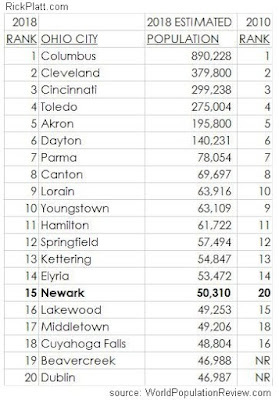 Newark is now Ohio's 15th largest city. The preview predicts Newark will stand out with another rise in the rankings again this year. Newark's 1.8% estimated population increase versus 2017 estimates is best among Ohio's twenty largest cities. There were four Ohio cities--Columbus, Lorain, Newark, and Middletown--that predicted population gains among the top 20 cities. Further, Newark will retain its status as the second largest city in the Columbus metro area. 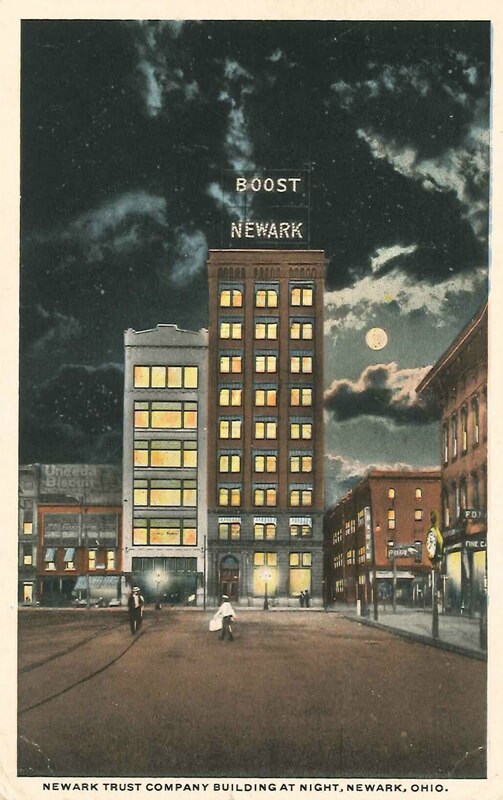 It's hard to ignore a rise like Newark has seen among its peers. Population growth is a measure of as well as a predictor of economic success. 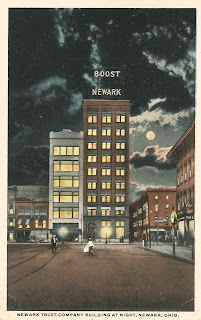 Newark's growth among it's Ohio city peers stands out as a sign of its economic gains as well as a strong predictor of its ability to sustain a growing workforce to accommodate future growth. Congratulations, Mayor Jeff Hall and Newark. I didn't get the chance to really introduce myself at the first meeting of a new Board I was asked to volunteer for recently. It's kind of a shame. I had prepared, in my head, my personal story thinking it as an analogous insight into what kind of Board member I will strive to be. No personal story of mine is complete without talking about my kids. Since September, I've been teaching my triplets to drive. I know. It's a shock to the system to even think about doing that. I was mostly calm. Add value or stay quiet. That was my aim going in. So far, my daughter seized the most of my discretionary time to train. I'll pick on her for the story. She was driving 90-degree-turn country roads a mere four hours into her training. We went everywhere. She drove suburbs. She drove exurbs. She drove cities. She really needs to know all of these places to be good at driving. She also can't just drive where it's easy to drive. I knew she was up to the challenge and challenged her to go where it was harder. She got beeped at and, probably, sweared at behind her back. She had to learn to not take it personally. It comes with the territory. We got root beer in Zanesville and smoothies in Coshocton. We picked up her grandma at the airport in Columbus. Driving herself gave her a greater appreciation of her home state than she got just being along for the ride. When she too often was looking backwards in her rear view mirror, I would break my silence to redirect her to look forward and care about what's in front of her most of all. We all have blindspots. It's natural. It's how our brains work. That's what I taught her. She became a better driver when she recognized she had blindspots and went about knowing where they were and compensating for them. Side note. I'll have to confess my own proverbial blindspots. I don't have any idea what it is like to be a teenage girl driving a car nicknamed Marvin. Good news! My daughter got her license the day after her 16th birthday. She's a good driver. I'm proud of her success. She knows she has a lot of room to get better. I'm proud to be there to help her get better. There are some big changes coming for her. And for her mom and me. Change beats the alternative. Final side note. 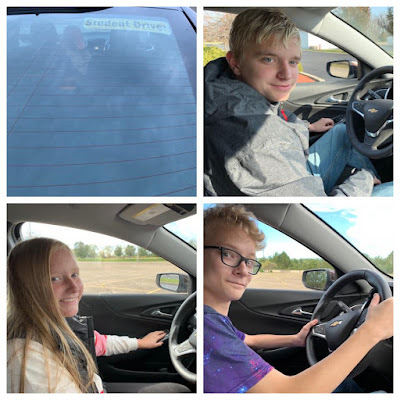 I was, strangely, calmer turning the driving over to my teenagers than I was to the autopilot in a car I had a chance to sit behind the wheel of recently. I'd like to think it says that I believe in people. I am more comfortable trusting, mentoring, and delegating to people in the future, because I am fortunate to have learned from people who have trusted, mentored, and delegated to me in the past. I'll have to look for another way to make my Board introductions, but I didn't want to miss sharing my personal story in the meantime. Manufacturers and Suburbs Winning it For Ohio, Again! 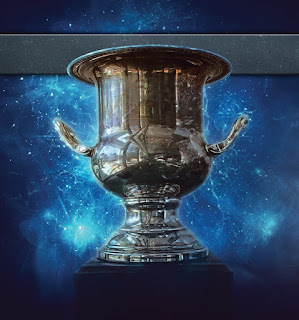 Site Selection magazine's coveted Governor's Cup was one state away for Ohio again this year. For the fifth straight year, Ohio came out in the top of the race among the states for economic development prowess. Second place is a really good place to be if you can't be number one. Ohio's good showing is, for longer than five years in a row, the result of manufacturing projects and suburban/exurban projects carrying more than their fair share. That's clear. Here's some key metrics from my annual analysis of the "Ohio Private Investment Survey," the tool Ohio's development agency uses to report to Site Selection on projects meeting the magazine's project criteria. 97% of Ohio's manufacturing project wins were from Ohio's 'burbs. That's an all-time high. 78% of all Ohio projects were from Ohio's less urban counties. That's also an all-time high. 55% of all Ohio projects were from the manufacturing sector. That's up again in 2018. 94% of Ohio's mega projects (greater than $50 million) were also from the 'burbs. 100% of Ohio's mega manufacturing projects were from Ohio's smaller communities. It sure makes the case for why Ohio is fortunate to have a breadth of investment-attracting local communities not dominated by just a handful of higher-profile places. Policies that strengthen more communities' ability to compete globally are critical to Ohio's future success. The data makes this point very clearly: Ohio Governor Mike DeWine and his Administration, especially JobsOhio, needs to embrace manufacturing as well as embrace suburban, exurban, and rural areas for the key role they play in Ohio's development success. Winning job-creating projects depends on it. This analysis comes from eleven years of reviewing the data that has been used to rank Ohio. The trends remain consistent. The 2018 version of the Ohio Private Investment Survey was recently published. It shares the list of projects Ohio's Development Services Agency used to self-report to the magazine. Ohio submitted 434 projects fitting the magazine's criteria. Check it out yourself. This analysis is easily reproduced. Ohio reports 55% (238 of the 434) classified as manufacturing projects. The list shows Cleveland, Columbus, and Cincinnati combined for seven of the 238 manufacturing projects in the state. That means 97.1% came from outside of Ohio's three largest cities--a record. Ohio's suburbs, exurbs, and rural areas have averaged 94% of manufacturing projects over eight years. The number has never been lower than 89%. Ohio's smaller counties brought 78% of all overall development projects to Ohio. That's up from last year and higher than any of the last 11 years. Of the total 434 total projects, 338 occurred outside of Ohio's three largest counties--Cuyahoga, Franklin, and Hamilton. That's 77.9% of the overall projects--a record. Eleven years of data show, consistently, that Ohio's success it owed to it's less urban counties. Ohio's DSA report indicates 28 projects achieved $50 million or more in capital investment. One of those was in Columbus, so 27 of 28 came from outside of the 3C's. 14 of these mega projects were in the manufacturing sector. All 14 were from Ohio's smaller communities. Bottom Line: This report shows the reason to care about what happens in all of Ohio and shows that Ohio is more than just three or six places of focus. The reason to reach the places that have been left behind is because Ohio's success is broad and wide and can be broader and wider. Let's get better.